My name is meemalee and I write about food. That first part's a lie. "Meemalee" is just a nickname my best friend made up for me at uni. My real name is MiMi which virtually no-one can spell correctly (that's two big M's, thanks). I do, however, write about food. "A long long time ago there was a man and a wooman. They went to Beflehem. 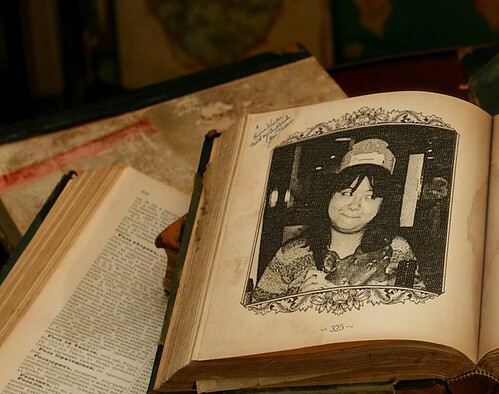 A long long time ago." At the age of five, I wrote a Blytonesque six-chapter extravaganza about a kindly grandfather, his adorable grandson and a magical rocking horse. I was meant to write about what I'd done that weekend. At the age of eight, I typed up a sequel to the Ramona series by Beverly Cleary. I illustrated it and everything. 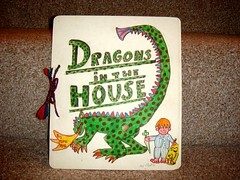 At the age of ten, I wrote a storybook called "Dragons in the House" for children (well, for children younger than me). 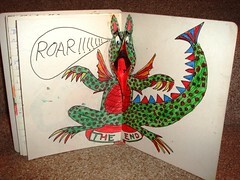 It had a pop-up, firebreathing dragon and little envelopes just like Janet and Allan Ahlberg's The Jolly Postman. 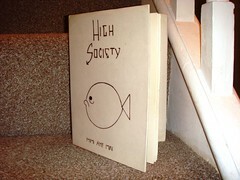 At the age of 14, obsessed with PG Wodehouse, I entered a school contest with a short comic novella called "High Society" about a young toff seeking fame and fortune. I won. And then, and then, I put away my childish things. Decided I had to be a grown-up. I stopped writing altogether. I met my husband at university. He was a creative type - short stories were his forte. He got published in the May Anthologies. He was this close to winning a BBC writing competition. He wrote a proper novel. And I looked on, wistfully. My muse had long flown. I kept myself entertained though. I took photos of everything, and especially of food. I even began to write a Burmese cookery book, figuring that no-one really knew anything about Burmese food in the West. I got a fair bit done, and then became demoralised and decided no-one would be interested, especially as, rather than concentrate on recipes, a lot of it descended into whimsical rambling. And in the meantime, I'd read food blogs. Not the big, famous ones about restaurants I could never afford in places I would never go to and which were often incredibly earnest, worthy and self-important. No, I liked the ones that managed to have a sense of humour, that were not afraid to poke fun at an establishment or at themselves, and were written by people who I thought I would get on with in real life. All of these blogs can be found on my blogroll. By far my favourite blog was noodlepie, by a guy from Newcastle Rugby who lived in Vietnam and faithfully documented his eating experiences out there. Intelligently written, funny, so passionate about food it bordered on geekiness (though he denies it), this to me was exactly how a blog should be written. But I'd never write a blog myself. I mean, who'd be interested? The years went by. I watched a lot of telly. Food shows were my personal pr0n - Come Dine With Me, The Restaurant, Great British Menu, The Supersizers, god, even Eating with the Enemy. All grist to my TV-viewing mill. And then there was MasterChef. How I love thee, MasterChef. In 2009, a loveable Kiwi guy called Mat Follas managed to reach the grand final and if I had been the gambling type, I'd have bet on him to win. And lo, he did. And I jumped up and down on the sofa and I ranted to my husband about how great the final had been. And my husband gave me a look and said "Why don't you blog about it?" And I looked back at him and said "Don't be silly". But then I thought about it for a while. Finally, I realised that it didn't matter that I was no longer inspired to make up stories. Write what you know, they say. Well, I know about food. It's now exactly a year to the day since my very first blog post on that MasterChef final (my blog's first anniversary) and there's been a few changes. I originally tried to write every other day, but that way madness lies. I used to catalogue every post with an R word at the start like "Review", "Rant", "Recipe" but decided that was just dumb. I even asked a few people for reciprocal blogroll links before realising that's a stupid, stupid, newbie faux pas (apologies to anyone I did this to). 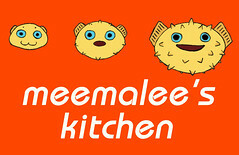 The biggest change is that I bought my own domain name - I don't know if anyone noticed but you're now looking at http://www.meemalee.com/ rather than http://meemalee.blogspot.com. This in itself is tremendously exciting for a nerd like me. 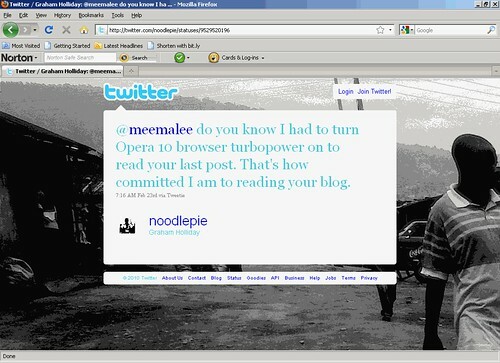 Yep, that's from noodlepie, my favourite blogger ever. My mind is truly boggled. Soooo, I guess I'll keep writing for now. I'd quite like to be paid for it one day if poss, but at any rate I enjoy being rude about food. I hope you've enjoyed it as much as me. And I'm still writing that Burmese cookbook. I would SO buy your Burmese cookbook, especially if there was lots of delightful whimsical rambling. My favourite cookery books are the ones with interesting bits to read. That's why I love Nige so much. Of all the food blogs in all the blogosphere, I had to click the link to- no, of all the blogs, I get the most excited when I see you've updated. Hurray for a year of Meemalee! Congratulations! LOVE your blog. I love it because of your humour, irreverence and your fabulous way with words. happy blogiversary! Can't believe you are only a year old, you seem so much more mature - most of the time anyway! Love the blog, it makes me laugh and inspires me too - keep on going! Firstly, congratulations on your blogiversary, or whatever it's called! Secondly, I'm so pleased you started your blog and that I started mine too, a couple of months later - or else I would never have met you or shared the silliness and laughter that we both so enjoy! 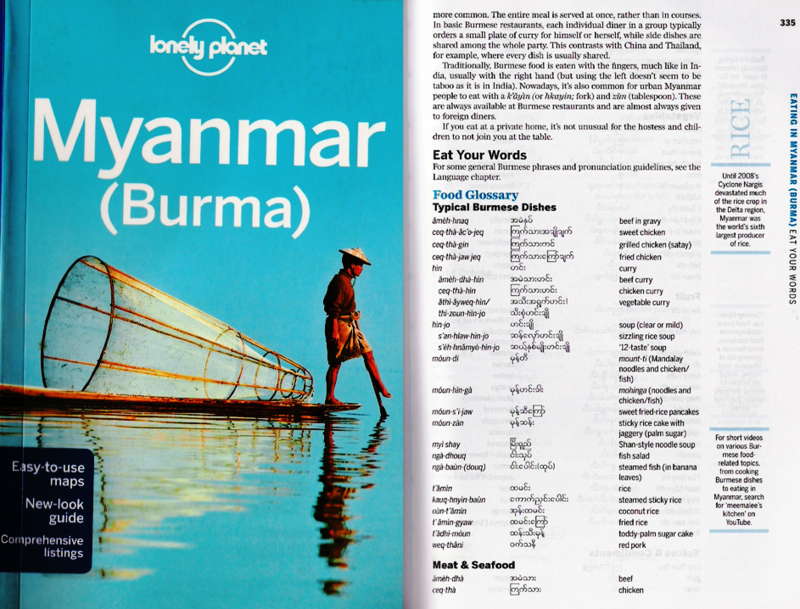 I would love to read your Burmese book and, if we can persuade you to resume the task, I'd love love love (nay beg) to be your editor, proofer, helper! Your blog is fantastic, and I loves it. Thanks for all the great posts. They always make me chuckle (and hungry!). Thank you! @scandilicious - Thanks Sig - very sweet of you (btw, two big M's *cough*)! @DennisK - You're another of my blogging heroes, you know! @Jones - It had nuffink to do wiv him ;p Thank you! wow ... a year ... happy anniversary to both of us ! Congrats on your MasterChef anniversary too, the Wild Garlic getting awesome reviews everywhere and achieving the highest Olive magazine score ever! Oh Meem, you MUST get to The Wild Garlic, it's wonderful... did you see my two posts on it? Love the irreverant style keep up the good work. My blog-iversary completely passed me by unnoticed as blogging is so part of the furniture of what I do after only just over a year....its great fun but time consuming indeed. I'm just trying to remember how I found your blog but that memory seems to have disappeared into the mists of time.... Anyway very glad that I did as it provides a constant source of entertainment and interesting stuff! I was (and remain) a huge Ramona fan, and really want a complete box set with the original illustrations rather than the yucky ones that seem to be available now. Happy anniversary! 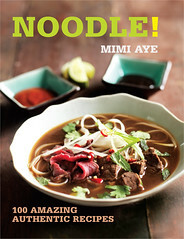 I would also love to read the Burmese food book. Hey meemalee - Happy Blogga-versary! I really think you need to finish that Burmese Cookbook... you can reserve at least one copy for me! As a newbie to the whole foodie blog thing I look ap to you and the other cool foodie peeps to see how it;s done. Like a first-year would to a prefect i guess... ;-) So please keep up the good work. And whimsey, lest you be under any illusions (you're not, I know), is most definitely the way forward in cookbooks. More extra-curricular wordage is definitely the way forward. @Kavey - Course I did, you silly billy. @TheFastestIndian - Thank you! Btw, Ramona has new pictures??? But I adored the old-school ones. Outrageous! OMIGOD! you actually managed to KEEP your books? @Josordoni - I did manage to rescue these two, mainly because I hid them (after all, I'd spent ages on them like a proper geek - for High Society, I hand-bound it, constructed a dust jacket and even made up quotes by "celebrities" for the back cover). Pretty much nothing else remains - my parents are not sentimental and chucked out most of my childish creations. My in-laws on the other hand kept everything so we even have some examples of my husband's teenage artwork on our walls. Wow, having only properly discovered the world of blogs and in particular food blogs via Twitter, I would never have guessed you'd only been blogging for a year. Happy First Blogday! Reading this post is so eerily familiar. I was determined I'd be an author when I was little, and used to love writing stories, but then towards the end of secondary school real life seemed to get in the way and I haven't been able to write since. I've been thinking for a while now though that I'd love to write a blog, like the blogs I've come to love reading, like your blog, but I feared it would descend into rambling, that it would be silly and that no-one would want to read it, and most of all that I'm probably not foodie enough to blog about it, at least not in comparison to those who's blogs I read. I will SO buy your Burmese recipe book, especially if you interleave it with your excellent writing. You are already one of my favourite authors (that's author, not blogger), AND I think your care in matching your media with your writing is phenomenal! Blog on, MiMi! @Rebecca - Go forth and blog! You already have one reader waiting (me). @chumbles - Thank you so much for your constant support and kind words - you always know how to say exactly the right thing! Happy Birthday, can't believe a year has passed already! It's seems like only yesterday that I read your first post. I was blown away by the quality of the writing and the wonderful sense of humour and I have followed you avidly ever since and will contin......... wait a minute, who's blog is this? Oh it's YOUR birthday is it MiMi? Oh bloody hell, I thought I was somewhere else.... yeah well er nice one, erm .....keeping on blogging! @FoodUrchin - You are evil. But I like you. BUT - I am not from bloody Newcastle. I am a real hick, from the real hicktown of Rugby. P.P.P.P.S. I got your DM and am now attempting to upload this comment 3 days after I wrote it. From a cafe in central Kigali as the Internet is still up the spout at my gaff. Nice blog, congrats for moving into your own domain! Cheers! ps Why ever not? What an odd thing to say. Granted, I've only spent half an hour in your company but you seemed perfectly affable. ppps Thank you for your tenacity. Happy Blogaversary from NZ. Sadly I doubt that I will get to visit the restaurants you review but I love reading your blog, and I enjoy your photos. Foodies are foodies the world over! @Judith - Hi Judith! So lovely to find a far-flung reader! Meemalee, London-centric is fine with me :) I live vicariously! @Dan - Awwww, cheers me dear!